Talk about doing multiple projects and actor Bhavya Gandhi certainly would belong together that category. 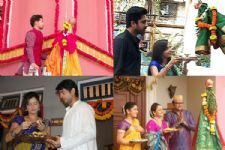 Currently the actor is already a part of And TV's Shaadi Ke Siyape as one of the leads and does multiple projects in the Gujarati entertainment industry too. 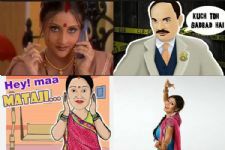 It is no secret that the actor rose to fame with his long-running and breakout role of Tapu in Taarak Mehta Ka Ooltah Chashmah years ago but the actor has evolved a lot ever since. Post quitting the show, he went on to do a Gujarati film Pappa Tane Nahi Samjhay which was a massive success. It was followed up by his stint on stage in a play. And now, as he enjoys being back in a Hindi daily soap again, yet another film of the actor called Bau Nahi Vichaar is up for release. The film is all set to release on 3rd May 2019. So fans of Bhavya, lock your dates already.